It's that time of year again and we're looking back over the 12 months of 2014. 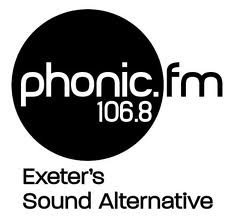 We've enjoyed a good year as we moved to hosting the show weekly on Phonic FM, which has meant more output than ever before. 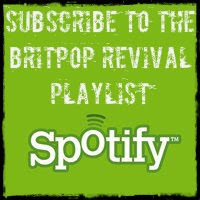 And of course as well as bucketloads of quality tunes from the nineties there has been a steady stream of great new music from both established names and new artists alike. We promoted our first ever gig (former Geneva singer, Andrew Montgomery) which was a fantastic night. As well as Andrew I've been fortunate enough to attend gigs by a number of Britpop bands including Suede, Dodgy and former Bluetone Mark Morriss and the Gene re-issue launch party but the undoubted highlight for me was seeing Speedy perform live for the first time in 17 years as their debut album finally got its release. 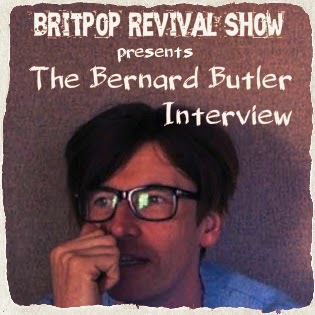 It's also been a pleasure to interview so many people this year for the show, from new unsigned bands to the legend that is Sir Bernard Butler. I'm already drawing up the a list of potential names for 2015! And now to our Album Of The Year. Last year it was Suede's magnificiant comeback, Bloodsports but with none of Britpop's big names in the studio this year, what will take the honours? Yes, perhaps no surprise this one given the fact that we played this album before anyone else and played a (very minor) part in helping to get it finally released. A time capsule of classic 90s indie-pop from a band who were always on the edge of something big but never quite made that final step, News From Nowhere is the missing piece of your Britpop record collection.